The photographer, a mom of two kids with Down syndrome, captured the images. camera (Courtesy Bethany Balsis) Photographer Bethany Balsis captured these stunning images while shooting a calendar featuring children with Down syndrome. Photographer and mother Bethany Balsis has just wrapped up a project very close to her heart: a calendar featuring kids with Down syndrome. The timing is fitting: October is Down Syndrome Awareness Month. And Balsis was the perfect person for it. She herself has two daughters with Down syndrome. One of them is biological and one was adopted from Russia when she was 2. A professional photographer from Bristow, Virginia, Balsis said her goal was simply to "get the kids personalities to shine through." It's her first year taking over the project -- a calendar for the Down Syndrome Association of Northern Virginia -- and she said she went into it with a clear vision. "Previously the calendar -- which was great -- had 12 different photographers, but I wanted to change the direction. I wanted it fresh and new, with one look across the whole thing," she said. "I really just wanted to showcase how beautiful these children really are." 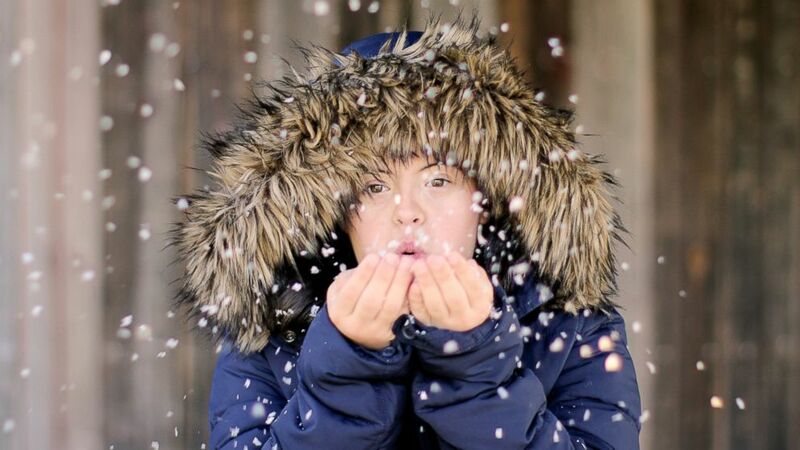 (Courtesy Bethany Balsis ) Photographer Bethany Balsis captured these stunning images while shooting a calendar featuring children with Down syndrome. "Lucy [age 13] was such a trooper in helping me master my vision for this image," Balsis said. "Her almond eyes, beautiful skin, fur hood, perfect blowing of the snow. 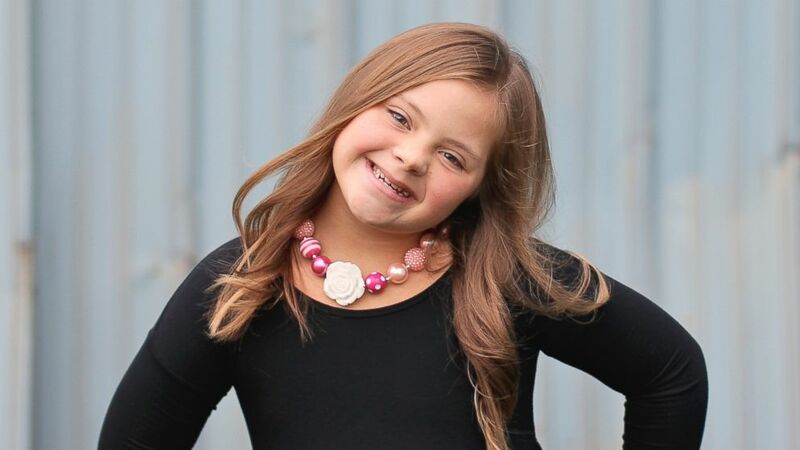 I am so in love with this photograph and how it showcases the beauty of Down syndrome." "EJ [age 4] was so full of energy and personality during our session. It was important for me to be able to capture that through my lens to show the world how amazing this little guy is. I love that this image puts such a huge smile on my face." 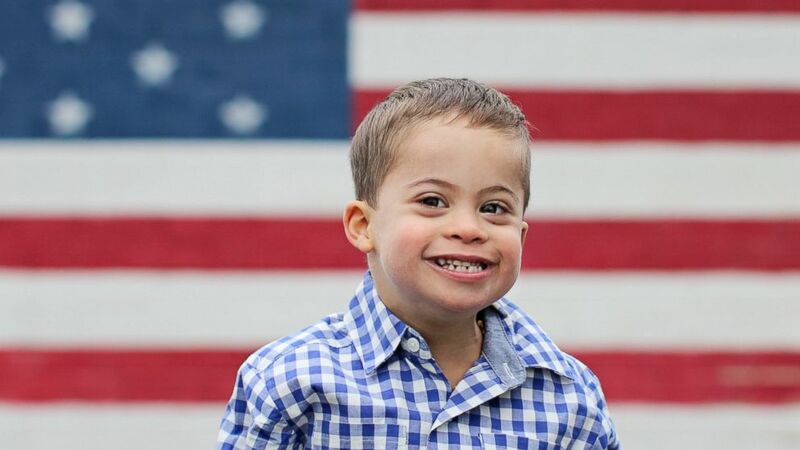 (Courtesy Bethany Balsis) Photographer Bethany Balsis captured these stunning images while shooting a calendar featuring children with Down syndrome. 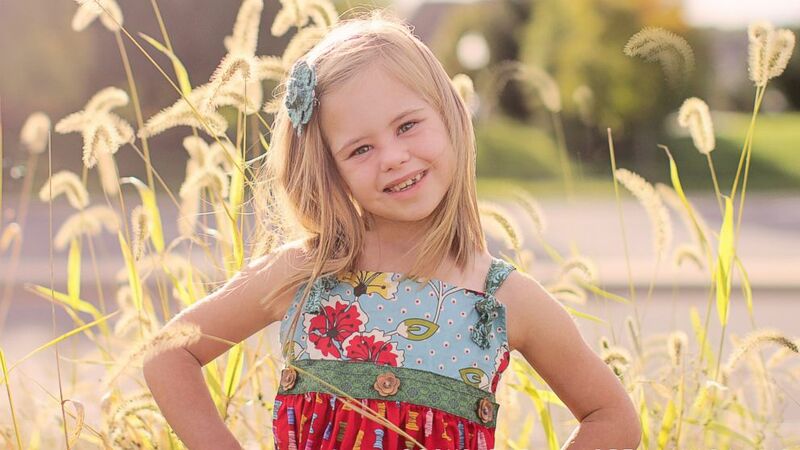 "Payton [age 9] is a gorgeous girl with a spunky personality. I really wanted that to shine through in her photograph. It is such a honor for me to have the gift of being able to show others just how beautiful Down syndrome can be. She happens to belong to me." "Eli [age 3] and Nicholas [age 3] were the perfect match for what I wanted from this image," Balsis said. 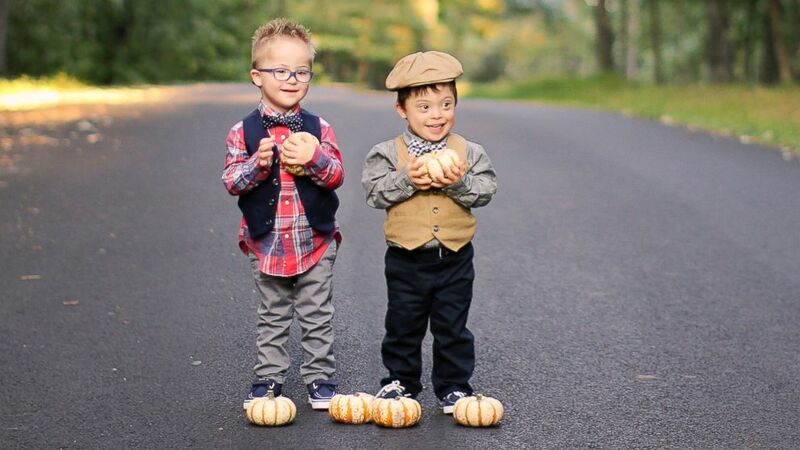 "They pulled off their adorable little outfits perfectly, and had a blast throwing pumpkins around. They gave me a run for my money, but I joke that I always win. This image could not be more perfect." "Addison [age 8] is an adorable little girl. She had so much fun working it for the camera," said Balsis. "I love how her personality shines through in this image. My husband and I adopted Addison from Russia when she was two years old. I am blessed to be able to share her story with others."